Welcome to the place wholly devoted to the local surf of Southern California. I am like many people a transplant from the East Coast. I started surfing when I moved here for college 8 years ago. I love longboarding Malibu or San O and am working on getting my stride on shorter fish when the swelll comes in. 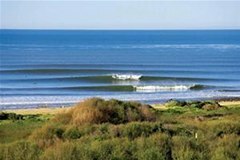 SoCal Surf World is to be a place we can talk about the local breaks, new tech, epic swells, politics of wave or trade secrets. I am goofy, so I am constantly looking for some fun A frames. Please feel free to upload your photos, ask and answer questions and share in the general conversation about what I think is life in paradise! News: Minecraft World Will Be at Minecon! News: Hello and welcome to the new google gmail world!! News: Check Out This Imagining of Gondolin by Users Shmattins, Bevs, and Agrius! News: User Andrewed built a beautiful wall around spawn. News: Welcome to the Canon 5D World! California is the place which is free from sharks and one should enjoy surfing here. News: Great white sharks breaching on so-cal coasts!